There are different ways to implement OTA updates for your application… today I’ll show you how to do it in an easy way, thanks to a cloud service named Freshen. Freshen is an IoT backend, that is a cloud dashboard (published on the Internet) to manage IoT devices. Cesanta offers a client library you can use to connect your IoT project based on the esp32 chip to Freshen. The library consists only in a header file (freshen.h), and is available on the official site. The freshen_loop() function requires two parameters: the firmware version (it’s a text string at your choice, for example “v1.0″) and the access token, a code that is generated by the platform when you register a device. A new device will be added (My Device #n). You can click on its name to display the details. 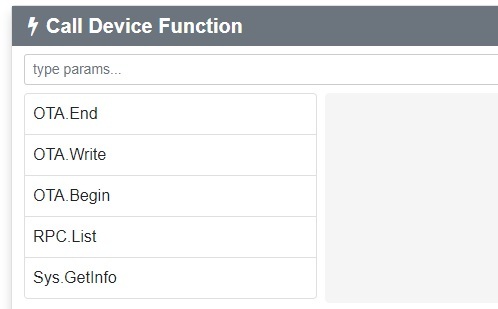 The device details page also allows to change the name of your device. Choose the .bin file that contains the new version of your firmware.